I am 16 years old and my dream from a very young age has always been to be on stage singing , dancing, and acting. I have been in a dance school since the age of three I am also a member of Iimelight Performance Academy where all my favourite activities are I recently joined Stars Musical Theatre company and will be part of their production of Rent later in the year. . I sing mainly covers of my favourite artists and hope you enjoy listening to me . I have entered a lot of competitions and have made it to the finals in them all. i have been lucky enough to have got first place second place and third place in a few and also got into the national finals of some of the bigger competitions.I have recently started to play guitar and have learned a few songs . I am getting better and better at it now and hope to add some of these songs very soon. Alongwith some of my dance school we performed at The Royal Albert Hall in London in May and had an amazing time. I played the the role of Scaramouche with Limelight and sang some amazing Queen songs. 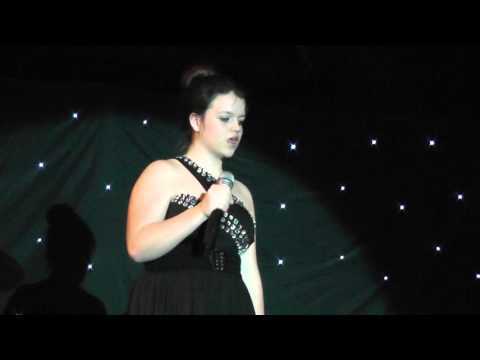 In Feb this year I won first place for under 16 in the National Final of The Welsh Factor .I am very honoured to have been chosen to sing at The Millennium Stadium on 11th of June where Her Majesty The Queen will be in attendance for The Troupping of the new colours .